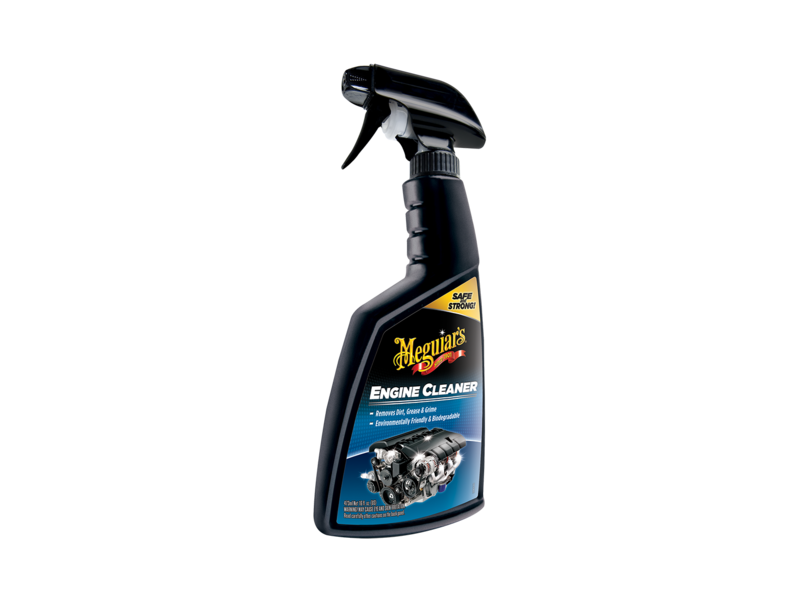 Meguiar’s® Engine Clean is the enthusiast’s choice for safe, effective and easy engine cleaning. The fresh smelling, biodegradable formula quickly lifts away dirt, grime and grease to clean even the hardest-to-reach under-hood areas. Safe on rubber and plastic and guaranteed not to degrade fittings or hoses, Meguiar’s Engine Clean is the easy way to leave your engine bay looking just detailed.